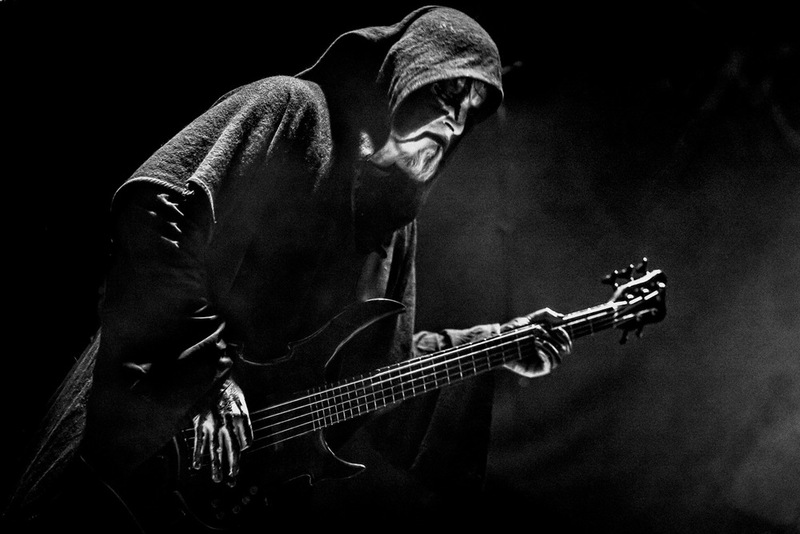 Norway´s masters of blackened sonic evil, 1349, are finally back with a deadly vengeance. 5/5- Metal talk.net: ''Massive Cauldron Of Chaos' is a superb release; Ravn, Archaon, Seidemann and Frost have surpassed the superb 'Demonoir' and with this latest offering and created black Metal for the black Metal connoisseur; prepare to let them lay waste to your ears." 5/6 – Gaffa: "Enkelt og greit en av årets beste metalutgivelser." 9,5/10 - Amps and green screens: "This is Norwegian Black Metal as it should be: cold, dark, and raining aural hellfire down upon thee." Doctor Carnage's World of Terror - : "For fans of extreme black metal, this is a must-have album." Metal Hammer UK - :"Strap yourself in, put on your g-force-resistant goggles and prepare for the exhilarating, sacrilegious rush that is Massive Cauldron Of Chaos!" Founded in Norway in 1997, 1349 have remained a constant influence on the Norwegian black metal scene. With a penchant for lightning speed riffing, blazing drums, and apocalyptic lyrics, the band has trail-blazed the underground, surpassing many of their peers through brute musical force. Following a quintet of landmark albums, 1349 is set to re-establish their dominance in world-wide extreme metal scene. Their latest release “Massive Cauldron of Chaos” leave no doubt as to their intentions. Not looking back, but constantly evolving and challenging our perceptions as to what to expect from an extreme metal band. "We entered the studio with an idea of putting everything that 1349 has ever been about into a cauldron, stir it well, and pour in some fresh ingredients - as well as some strange old ones - and come up with our most potent elixir ever. And we brought the spirit to match the ambitious attempt. Boil, boil, toil and trouble...Behold! We have made the most delightfully intoxicating and dangerous potion you can dream of. FEEL THE FIRE! And Hail Hell."